2. Lay the wings out onto a baking sheet lined with paper towels. Blot out as much of the moisture as possible. Transfer the wings to large bowl and lightly season with salt and pepper. Add 1/3 of the sauce and toss to coat wings evenly. Cover and marinate for at least 3 hours or overnight. 3. 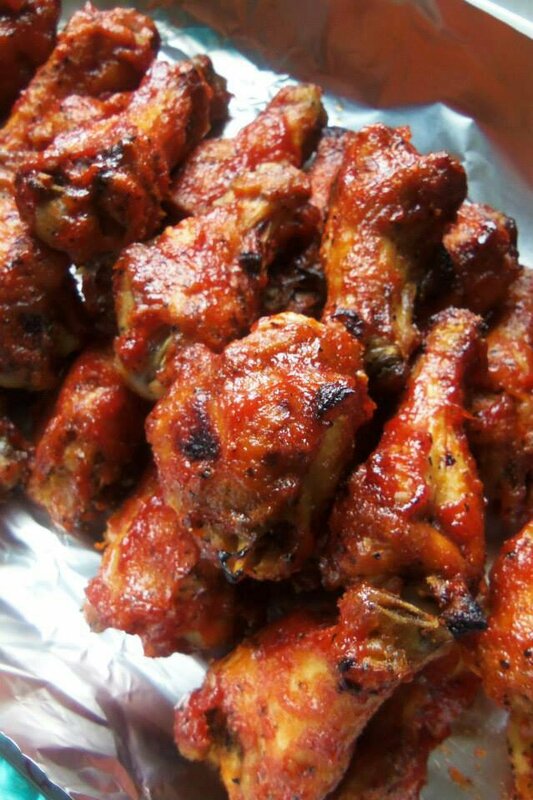 Remove the wings from refrigerator 30 to 40 minutes before cooking. Line a baking sheet with easy release foil paper and spread the wings out onto it. 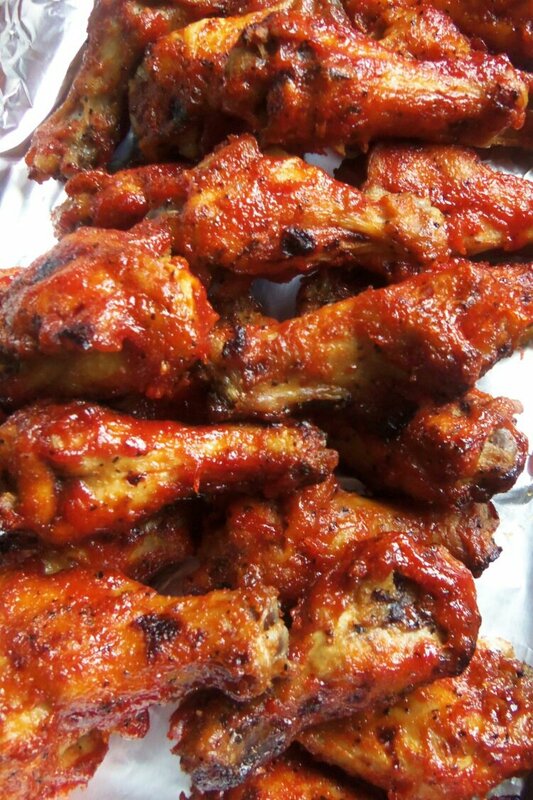 Drizzle the wings with a little olive oil.4. Bake wings for 35 minutes. Remove from oven, and move the top shelf in oven so it’s about 10 inches from top broiler, turn broiler on high. Turn the wings over and baste them with 1/3 of remaining sauce. Cook under the broiler for 5 to 6 minutes. Turn them once more and broil for another few minutes. Never leave the broiler unattended. Remove from oven, transfer to serving dish, toss in remaining sauce.